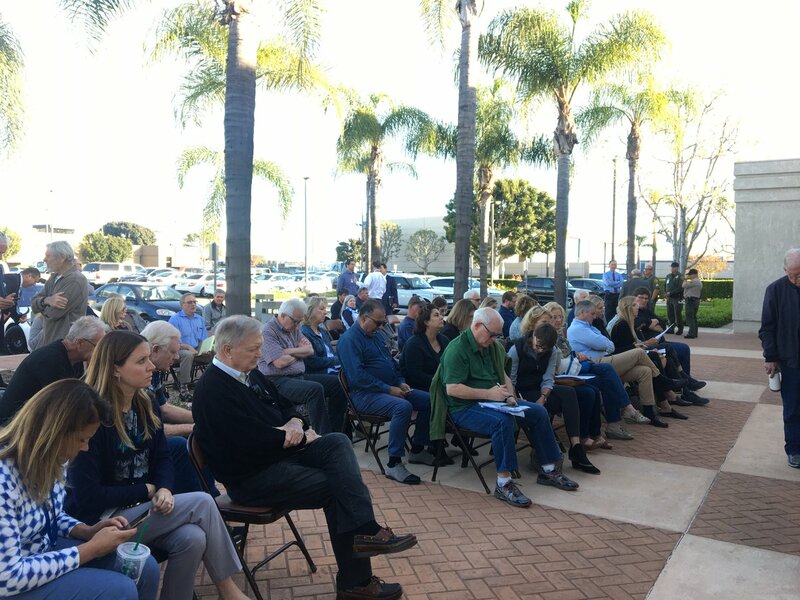 After Anaheim PD confronts a Voice of OC reporter who clearly identified himself, questions arise about Anaheim’s commitment to the First Amendment and the tone of neighborhood homeless sweeps. Orange County supervisors voted without discussion and in less time than it took to read the agenda’s one sentence summary, to buy a $3.6 million surveillance plane for the Sheriff’s Department. More than two dozen protesters demonstrated Thursday night in front of Los Angeles Police Department officer Kevin Ferguson’s Anaheim home, objecting to District Attorney Tony Rackauckas decision not to file criminal charges after a 2017 scuffle with a teenager led to Ferguson firing his pistol but not hitting anyone. Los Angeles Police Department Officer Kevin Ferguson, who fired his gun during a 2016 altercation with a group of Anaheim teenagers, will not face any criminal charges for his actions, said Orange County District Attorney Tony Rackauckas at a news conference Wednesday morning. It was another year of political drama in the city of Anaheim, after an election upset in November 2016 tipped political power in Mayor Tom Tait’s favor. A staff proposal for a new Anaheim police review board appears to be moving toward selecting members as soon as spring 2018. Beefed-up citizen oversight of the Anaheim Police Department will be considered by the City Council Tuesday. A report by the ACLU found Anaheim to be among the nation’s worst cities for deaths at the hands of police.